World Food Travel Day is a special day dedicated to bringing awareness to the importance of local culinary cultures around the world. Taking place on April 18, the World Food Travel Association invites you to join in and share your favorite culinary culture. Throughout Florida, you can find different cuisines from all over the world. However, we think it’s important to share with you Florida’s local cuisine. Our state is home to a wide selection of culinary staples – most of which are unique to Florida. 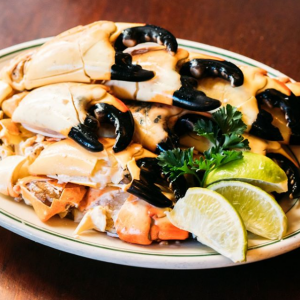 Here’s a few of our favorite culinary staples that make the Sunshine State stand out. Fun fact – Cuban sandwiches are not actually from Cuba! These tasty sandwiches originated in Key West and Ybor City to cater to early Cuban immigrant communities in Florida. 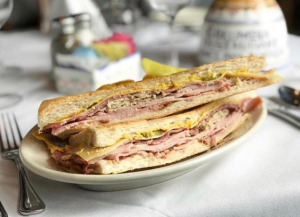 If you love Cuban sammys, we suggest you look in these two cities. Some of our favorites are Columbia Restaurant, Havana Cuban Food, and Sergio’s. If you’re in Florida and haven’t tried oysters, you haven’t had the real Floridian experience. Apalachicola is a great hub for fresh oysters, and you can find them all throughout the panhandle. 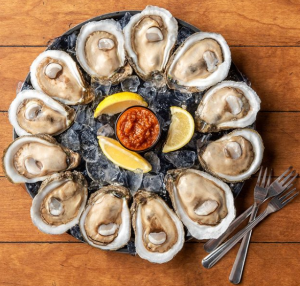 From Up the Creek Raw Bar in Apalachicola to Shunk Gulley in Santa Rosa Beach, they’ve got some of the best oysters around. Of course, we can’t forget our southern staples. 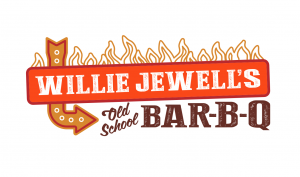 Southern food is our comfort food, and one of our favorites is bar-b-q. 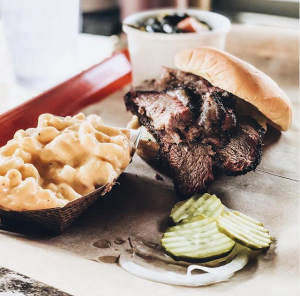 Check out this brisket sandwich from The Bearded Pig! Another great cultural food from Florida, and our favorite sweet treat, is the infamous Key Lime Pie. Although key limes were brought to the states, the key lime pie is a Key West native. Most famous are Key West’s Chocolate Dipped Key Lime Pie Bars. Of course, you can find this tasty treat all over Florida. 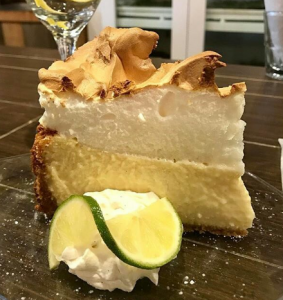 The Bay Restaurant in South Walton has a must-try key lime pie when you’re in the area. Florida is home to a handful of breweries located across the state. In fact, we have so many that Visit Florida created a Craft Brewery Finder so visitors can find one that suits them perfectly. 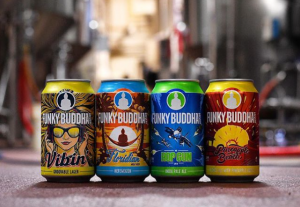 Some of our favorites are Proof Brewing Company, Cigar City Brewing and Funky Buddha. Want to share your favorite world or Florida food culture? Post on social with the hashtag #WorldFoodTravelDay on April 18 to participate! Florida’s Department of Business & Professional Regulation (DBPR) requires that food service employees be trained on safe food handling techniques and hygiene practices. Aside from this being mandated by state law, restauranteurs and hoteliers with food service that actively manage food safety can reduce their risk exposure. To stay in compliance, use DBPR’s contracted provider for foodhandler training – FRLA’s SafeStaff. SafeStaff is FRLA’s proprietary Foodhandler Training program and has been DBPR’s only contracted provider for nearly 20 years. During that period, Florida foodborne illness outbreaks have dramatically decreased. The SafeStaff Foodhandler Guide contains everything needed to create a safe food service environment – from instructions, to food safety best practices, to quizzes and assessments. Why SafeStaff Over Other Training Products? FRLA’s SafeStaff program provides the industry a unique benefit no other provider can claim. Unlike for-profit sources, the purchase of SafeStaff benefits the purchaser in the long run as the proceeds from SafeStaff sales help fund the FRLA mission and advocacy efforts to protect, educate, and promote the hospitality industry. SafeStaff is convenient and cost competitive. But most importantly, when you buy SafeStaff you are investing in protecting your business and the jobs you create from harmful taxes, laws, and regulation. The FRLA Government Relations team advocates for you at the local, state and national levels, tirelessly fighting for business-friendly public policies. Learn more about our Government Relations team, view our current legislative priorities, and more by visiting our site here. Interested in SafeStaff or other FRLA related training and certification programs available to you? 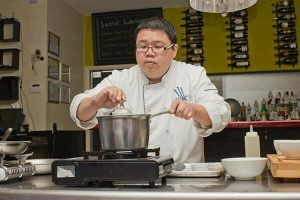 We are excited to introduce Dennis Chan, owner of the delicious Blue Bamboo restaurant in Jacksonville. Dennis comes from a long line of chefs, and knew it was his legacy to continue serving food and carry on his family’s traditions. One of his favorite things about working in the restaurant business and hospitality industry is the ability to use his food and excellent service to brighten someone’s day. Dennis is a long-standing, second-generation member of FRLA and is committed to helping aspiring restaurateurs. He teaches culinary classes at local schools and volunteers with ProStart on a regular basis. Thank you, Dennis, for your continuous support of FRLA and all you do for your community. Next time you stop by Blue Bamboo, we suggest you try the Sunshine State Orange Crunch Cake Cake! Know someone you think should be our FRLA Member of the Month? Nominate them here. While “traditional” office coworking spaces have flourished for years, a new trend is emerging to transform restaurants, bars and lounges into coworking environments. Several companies are now focused on converting well-located, but underused restaurants and bars into daytime pop-up offices complete with accessible electrical outlets, high-speed Wi-Fi and complimentary coffee. Bar and restaurant owners benefit by receiving a passive source of income during a period of the day their space would otherwise sit empty. In an industry known for fierce competition and razor-thin margins, transforming into a temporary coworking space can net a bar or restaurant 20% or more in additional revenue. That extra cash can be a lifesaver for fledgling eateries facing steep competition, increasing rents and labor costs. Since coworking operators do not need to spend significant funds reconstructing a restaurant, they are able to offer their customers lower membership fees than traditional office coworking operators. Working out of a high-end restaurant or lounge with soundproofing offers members a quiet respite from noisy, overcrowded coffee shops and offices. Meanwhile, coworking members offer restaurants and bars a built-in market for happy hour and dinner service. The temporary coworking model has proven successful, but like any new venture, hospitality operators should consider the business and legal risks before agreeing to lease or sublease their space. Many new businesses fail and coworking operations are no different. Prior to executing any agreement, restaurant and bar owners should perform their due diligence and consider the coworking operator’s experience, reputation and leadership. You want to work with reputable operators with successfully-operating locations. Ask to speak with the owners of those locations. Check if complaints have been filed against the coworking company with the state or local department of consumer affairs or chamber of commerce. You should consider staffing requirements. While the coworking operator should have its employees onsite during operating hours, you may also want your own managers present. If your bar or restaurant leases its space, you should first review the lease prior to entering into any agreements. Most leases include language prohibiting subleasing without the landlord’s prior written consent. Where the lease strictly forbids subleasing, you may consider approaching the landlord to discuss an accommodation. Many landlords understand the difficulty of operating a consistently profitable bar or restaurant and would rather work with you than deal with a default and the additional expenses of re-renting a space. Property owners can enter into a lease agreement with the coworking company or opt for a non-traditional structure such as a joint venture or licensing. Your agreement can incorporate profit-sharing but should also clearly delineate roles and responsibilities. Regardless of the business structure, your agreement should require proof of the coworking company’s insurance coverage naming the bar or restaurant as an additional insured. The agreement should contain language indemnifying your bar or restaurant from liability arising from the acts of the coworking company and its customers. Restaurant and bar owners should also consider enhancing security and surveillance systems and ensure that any alterations to the space performed by the coworking company comply with applicable laws and regulations. With the continued rise of the gig economy, temporary coworking spaces are exploding in popularity. A carefully drafted agreement with a coworking operator can help ensure a successful and profitable relationship for years to come. Looking for more content like this? Check out the latest issue of the Florida Restaurant & Lodging magazine here. This week’s blog was written by Herman R. Lipkis of Holland & Knight, a global law firm with more than 1,250 lawyers in 27 offices throughout the world. Established in Florida, the firm has eight offices throughout the Sunshine State and provides representation in litigation, business, real estate, and governmental law. Mr. Lipkis can be reached at herman.lipkis@hklaw.com. Search Engine Optimization is a competitive and ever-changing landscape. Any article claiming to know the secrets can be out of date before it goes to print. There are, however, some SEO trends restaurants can’t ignore and some advice that seems increasingly evergreen. One SEO trend for everyone, including restaurants, that’s becoming a de facto norm is voice search. Voice search brings with it some new challenges. For example, a voice search tends to use different language than a typed search: we tend to construct proper sentences for Alexa and Siri instead of the two or three keywords we type in a browser. Fortunately, the things you can do to optimize for voice search are also the things you should be doing anyway. Which restaurants are near me? Searches for food and voice searches have some things in common: they are often localized, immediate and mobile-based. 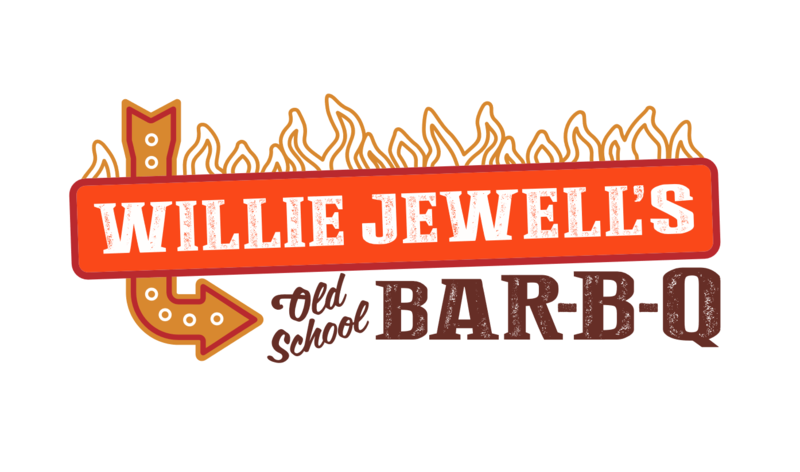 It is imperative that your restaurant have both a Google My Business listing and a fast, mobile-optimized website. Page speed has been a factor in search rankings for some time but indications are it is even more important for voice searches. A quicker, secure (HTTPS) more mobile-centric website will rank higher in any situation. No, I don’t mean raise your prices. I mean use the restaurant-specific markup from Schema.org. What’s that? It’s a way to indicate to search engines which pieces of standardized content they are reading. For example: hasMenu lets you specify if you publish a menu, and if so, whether it is a document or text. (Please don’t make potential clients zoom in to a photo of your menu that you took with your phone.) It even lets you specify whether you have different menus for lunch or dinner. Other examples include opening hours, payments accepted, address and which languages are spoken. All of these could help differentiate your listing in a voice search for a ‘local eatery that is open now, serving lunch’. When the user gets served the right menu for the time of day, your conversion chances will rise. There is also schema mark up for customer reviews which, when implemented, can result in star ratings showing under your search listing. Imagine a search for ‘5-star restaurant near me.’’ If your site includes properly-marked review content, you’ll be in the running. Of course, in all these searches, you’ll be competing with services such as Yelp!, which is why reputation management is a critical part of SEO. You need to be monitoring those reviews. Intervene with the negative ones, and foster the positive ones. Consider a service such as Yext for monitoring directories and external reviews. Manage them correctly and you can let Yelp! do the SEO work for you. This week’s blog comes from Jeremy Spinks, Vice-President of Online Design at FRLA member BowStern Marketing Communications. BowStern is a fully-integrated marketing firm headquartered in Tallahassee and specializing in innovative, memorable, and results-driven campaigns for clients across the globe.